Enhanced features like operator support, saving & sharing, grid config favourites are experimental and subject to change without notice. You can use the object grid configurator button to adapt the grid to your needs, i.e. add additional columns, change the column order or column width. 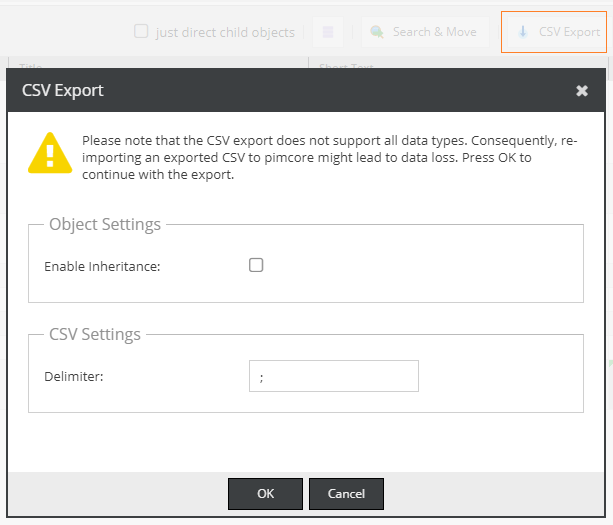 The chosen column configuration will also be applied for the CSV Export. You can define a favourite config for each object folder and share it with your friends. 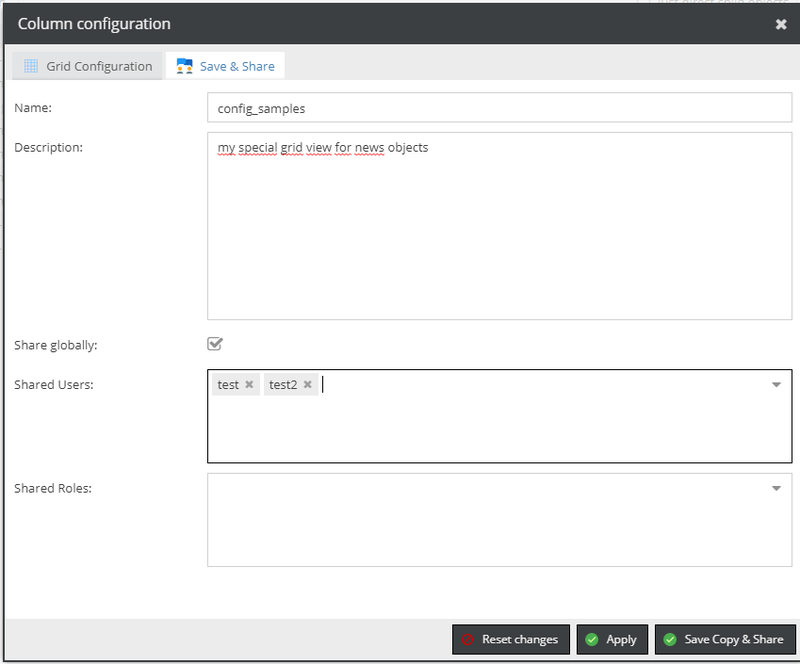 As an admin user you can also share the config globally (i.e. without having to pick certain users). Note that the shared config will always be owned by you. If you delete it then it will be also gone for all users you shared it with. If you are not the owner of a view you want to share you have to copy it first. Sharing can be accomplished via the `Save & Share' tab in the configurator window. You can define a preferred config on folder level. If there is another object with a different setting you will have the option to apply the setting to all folders or just leave it as it is. By default, Inheritance will be disabled. If you want to enable it or adjust CSV settings do this via the settings dialog. Batch append to all: Same as batch edit all but the data will be appended. Currently only supported for relational types. Batch append to selected: Same as "batch append" but only applied to the selected ones.